There is a strong vogue for the intelligent self-balancing scooter. A host of outlets selling electric self-balancing scooters spring up overnight all over the world. Now some young men elect to start their own business. They are thirty for being self-employed. The electric self-balancing scooter is a good choice for them. George is fresh from university and one of those ambitious young men. He chose Fosjoas electric self-balancing scooter and set up his own store in the centre of city. He is quite positive about the future of this kind of electric scooters and he is more sanguine about this brand-Fosjoas, which is initiated by Moben Global Inc. When it comes to Fosjoas electric self-balancing scooters, George is always having much to talk with others. Each day, he usually welcomes a lot of visitors. Hence, he clearly knows what model is the best-seller and which model is noted for its value for money and so on. He recounted that Fosjoas V2 was the best-seller. Every week, he sold three to four sets of Fosjoas twin-wheeled intelligent scooters. Even sometimes, it was sold out and the buyers had to reserve in advance with a set deposit. Most buyers see the ease to use in Fosjoas V2. 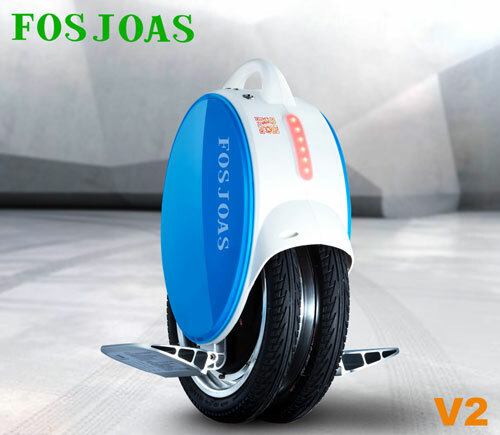 Compared with Fosjoas electric unicycle, V2 is more stable and more suitable for beginners. However, Fosjoas V2 is not the most popular model in his store. In his store, he said Fosjoas two wheel electric scooter unicycle like U3, K3 and V9 were the most prevalent. Almost everyone who entered his store would have a try on these two-wheeled intelligent scooters. But the little high price will scare away them. Typically, these two-wheeled intelligent scooters are purchased by some establishment or governmental institutes. George proudly said, a boss of a golf course purchased 5 sets of Fosjoas V9. He set about using these as transports for caddies in the golf course. The gross benefit delighted him very much.